Peruse 100+ booths and pick up soaps, sachets, oils, and more. 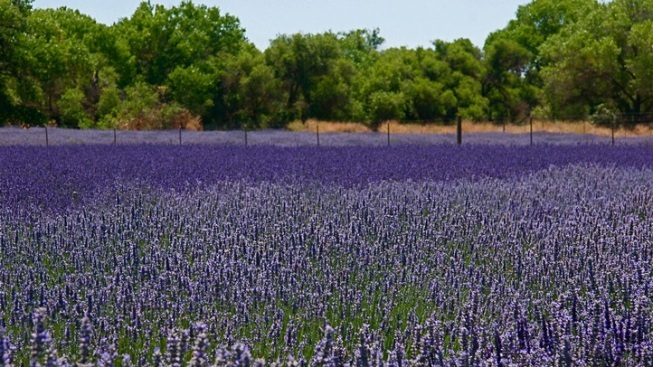 Summertime's most purple-tastic gift is making its way to a Paso Robles party. CENTRAL COAST LAVENDER FESTIVAL: As with many gourmet and nature-nice gatherings — think of the famous Olive Festival and tons of wine to-dos — the Lavender Festival will flower in City Park. Over 100 vendors are expected at the Saturday scene, vendors purveying in all manner of lavender loveliness. Need sachets, soaps, and such? You'll fill your trunk, or at least your passenger seat, with goodies made for the bathroom or linen shelf. Tunes and talks focused upon lavender and lavender lovers (hint: bees) are part of the daylong fun as well. Cost to attend? Free. Sniffing hue-happy herbs as you wander by tables? Also free. Daydreaming of standing in a calendar-worthy lavender field? Always free. Picking up a few vinegars for the kitchen or bubbles for the bath? That'll take some cash, so be sure to arrive ready to get your fill of the fragrant summertime wonder herb.